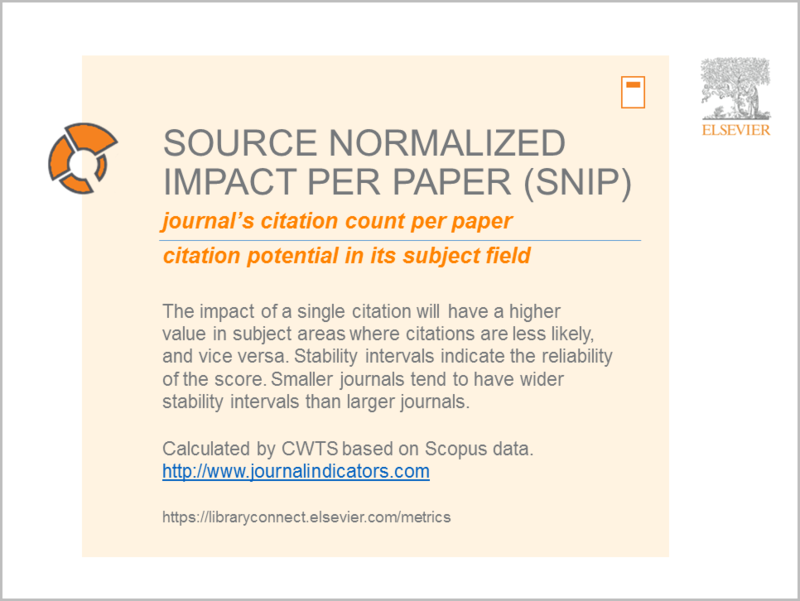 As shared in the quick reference card displayed, SNIP is derived by taking a journal’s citation count per paper and dividing it by the citation potential in its subject field. 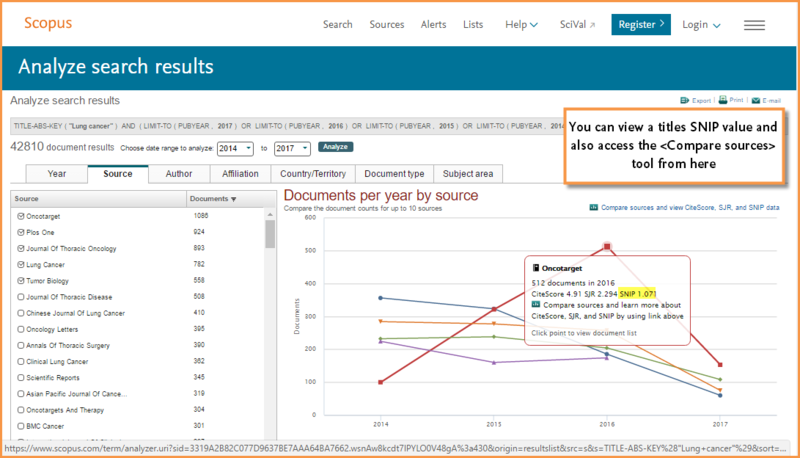 Let's look more closely at the <Compare journals> tool (watch this quick video clip. It shows SJR, but the principle works the same for SNIP). 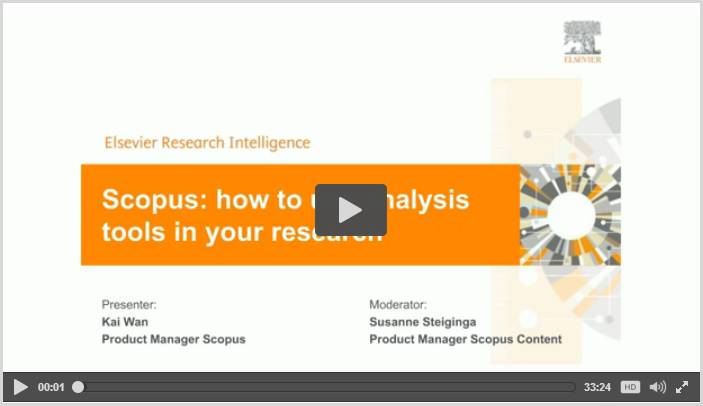 This tool allows you to gain a more complete analysis of the journal landscape. 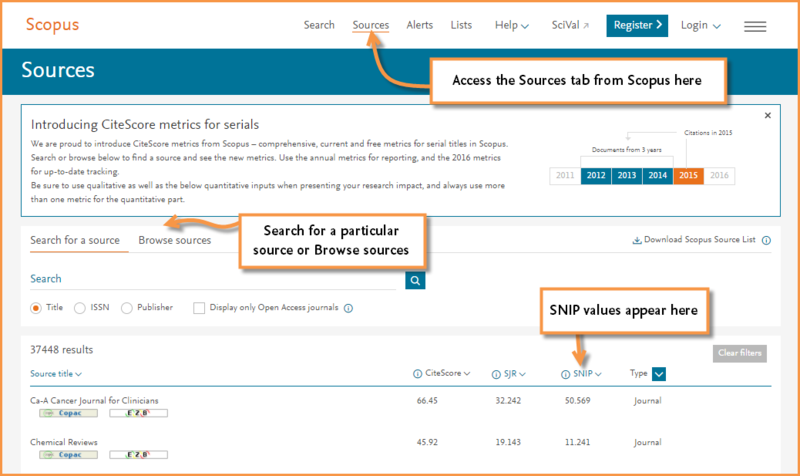 You can select up to 10 journals to upload into graphs for comparative analysis; and then compare the titles using a variety of metrics, including SNIP. 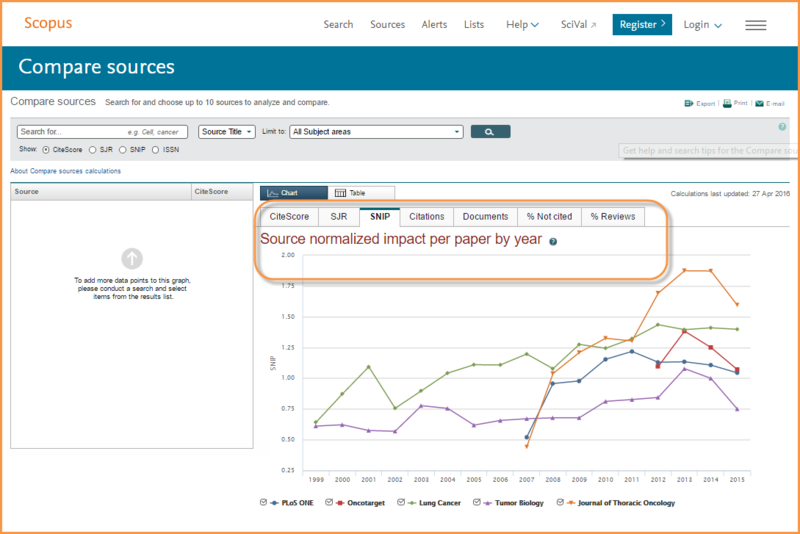 For example, if you want to compare journals from different subject areas, this tool offers helpful insights by allowing you to compare SNIP calculations and trends for a set of journals at one time. From here, you can see the SNIP values for your selected titles over time and compare the titles against each other. When you compare the SNIP graph to the Citations or SJR graphs, you begin to see different trends. These trends correspond to normalized values, which is particularly helpful when looking at a set of titles with varying subject areas. Each graph in the <Compare journals> tool gives you a bit more visual insight into the measurements over time compared to a table or a singular value. You can even zoom in to look at a smaller window of time. 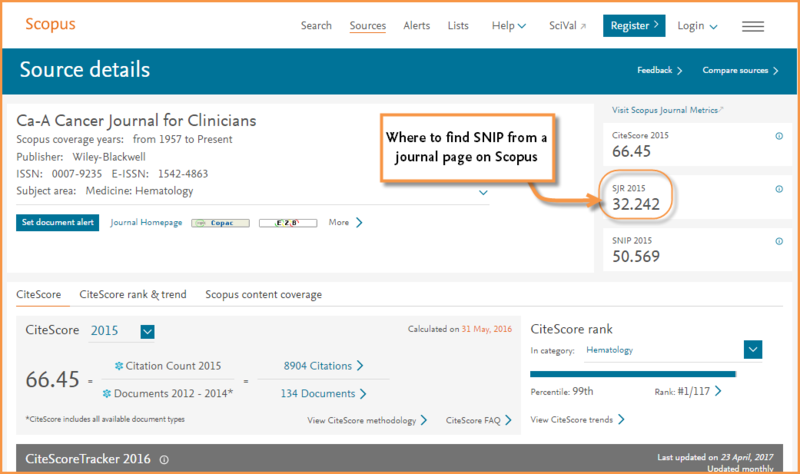 Where can you find SNIP values outside of the Scopus platform? 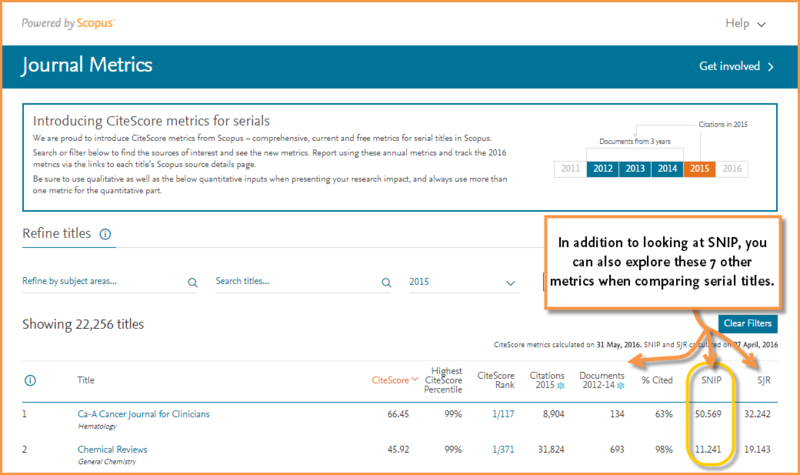 Go to https://www.elsevier.com/solutions/scopus/features/metrics and click on the <Show more> button to access and download an archive of SNIP values dating back to 1999.